Porsche spare parts - crisfosss Webseite! The PORSCHE brand stands for dynamic, sporty driving fun, and thus represents one of the few "freedoms" that are still available to us in the modern world today. Among the PORSCHE friends, the 911 series launched in 1963 is the prototype of a sports car. Intrusive engine sound - whether in the Targa, convertible, coupé or roadster - combines here the "feeling" of the racing with the elegance of the unique 911 Carrera body. Further interesting background information can be found under the heading "Porsche Mythos". At Crisfoss GmbH, at the beginning of our company foundation, PORSCHE's enthusiasts around the world were able to offer a cost-effective alternative with Porsche used spare parts for their restoration projects. In the meantime, we have established a good worldwide network of Porsche workshops, specialized restoration companies and customers and are the contact person when it comes to Porsche spare parts and restoration. The 911 series includes the following models: Porsche 964, Porsche 993, Porsche 996, Porsche 997 and Porsche 991. 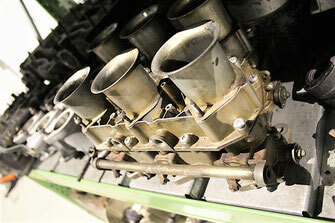 On our online eBay-Shop we offer Porsche used spare parts. The section Ebay-shop is directly linked. Here are used spare parts of the model range 996 and all other common model series available. If you cannot find a specific spare part, you can also contact us directly. 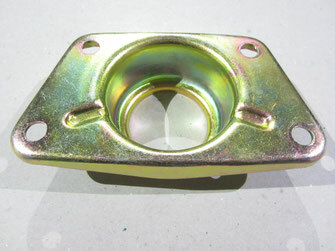 In our warehouse, we carry additional parts which we offer for telephone inquiries or in the suburban sales. On our own online shop, you will find our Porsche new parts range. The Shop section will take you directly to it. Here you find new spare parts of the F-Modell, G-Modell, 964, 993, 996 and 997 series. Please contact us if you need different spare part. 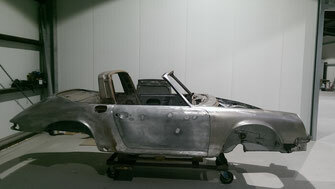 As a new service, we offer paint stripping of car bodies and vehicle parts. The Crisfoss product range: high-quality, used Porsche spare parts with entry check.